City landlords reacted to a price-sensitive marketplace this summer with a slew of sales incentives designed to lock down tenants before the end of the summer season. In August, the Manhattan vacancy rate was 1.29 percent, down from July’s rate of 1.34 percent, according to the monthly Citi Habitats report. The decline comes after two consecutive months of inventory increases. “In August, Manhattan landlords took action. They reversed the recent vacancy rate increases by lowering rents and stepping up their use of incentives,” said Gary Malin, president of Citi Habitats. The Citi Habitats report found that stable (or lower) rent prices, coupled with an uptick in move-in incentives helped increase immediate demand for rental housing. However, the market is still in building owners’ favor when compared to last year. From July to August 2018, overall rents fell slightly in Manhattan, while in contrast, they climbed slightly in Brooklyn as a whole. Rents in both boroughs were up across the board when compared to August 2017. Some 28 percent of rental transactions brokered by Citi Habitats offered a free month’s rent and/or payment of the broker fee in August – up from 25 percent in July. But when looking year-over-year, their use is down. In August 2017, 31 percent of new leases signed included an incentive. In total, the borough’s vacancy rate has fallen over the last 12 months. In August 2017, 1.78 percent of Manhattan apartments were available for rent. In August 2018, the average monthly rental price for a Manhattan studio was $2,447. For one-bedroom homes, the average was $3,210. 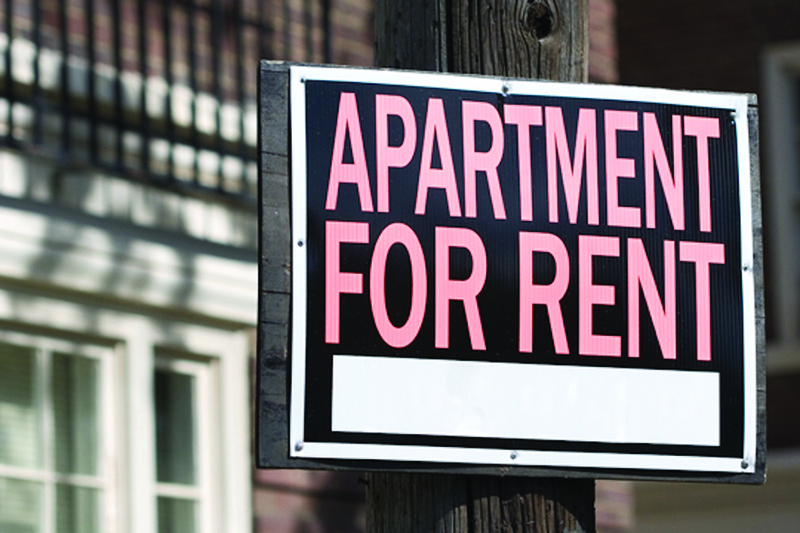 For two-bedrooms, average rent was $4,205. The average three-bedroom rented for $5,525. Brooklyn studio apartments (in the 14 neighborhoods studied by Citi Habitats) rented for $2,391 per month on average. Brooklyn one-bedrooms average rent was $2,902 – while rents for two- and three-bedrooms clocked in at $3,923 and $5,769 respectively. The most expensive Manhattan neighborhood in August was SoHo/TriBeCa with a median rent of $7,995. For Brooklyn, DUMBO was the most expensive neighborhood in August, with a median rent of $4,400. Manhattan rents were lowest in August 2018 in Washington Heights, with a median rent of $2,323. Below 96th Street, the Upper East Side was the least expensive with a median rent of $3,300. Bedford-Stuyvesant, with a median August rent of $2,500, was the least-expensive Brooklyn neighborhood tracked by Citi Habitats, followed by Bushwick – where the median rent was $2,600. With a vacancy rate of 1.06%, the Upper West Side was the Manhattan neighborhood with least inventory in August 2018, followed by Murray Hill at 1.12%. On the other end of the spectrum, the vacancy rate was highest in Midtown East (at 1.78%) and The East Village (at 1.76). Douglas Elliman Real Estate August 2018 Rental Market Report for Manhattan, Brooklyn and Queens also showed continuing softening conditions, although rents remained high. Concessions remained a part of leasing strategy in Manhattan and Brooklyn; less so in Queens. The largest decline in rent was seen in the Manhattan luxury segment of the market. In Brooklyn, the amount of new development entering the marketplace skewed the aggregate rental pricing to seemingly higher levels, although net-effective rents continued to slip. “Last month, this trend of higher-priced new inventory created the false narrative of rising prices, while, at the same time, rents at older properties slipped,” said Jonathan Miller, president and CEO of Miller Samuel Inc. and the author of the Douglas Elliman report. Concessions expanded in Brooklyn, while in Queens the number of concessions declined for the second month in a row after 16 months of year-over-year increases. The average pricing for Queens rentals rose, but again, this was reflective what was seen in Brooklyn with the large increase of new, more expensive development distorting the actual rental pricing. “I see the change in the Queens market as a sign that landlords are getting better at initial pricing rather than seeing this as a sign the prices are actually rising,” added Miller.